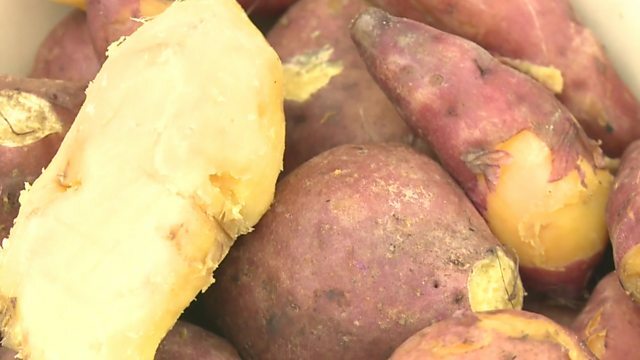 Scientists in Uganda are at the forefront of developing a technique called biofortification to increase the yield and spread of the orange-fleshed sweet potato. The variety is known to prevent against vitamin A deficiency, which drastically increases the susceptibility to fatal illnesses and is the leading cause of preventable childhood blindness in Africa. The BBC's Nancy Kacungira reports on its many benefits.